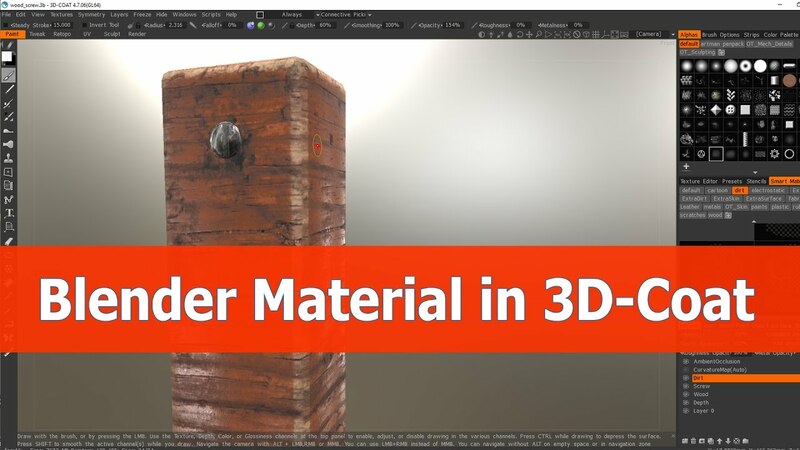 Here is a tutorial on how to export Blender models as FBX with existing materials and how to use these for 3D-Coat smart materials. The model contains 2 materials that can be used in 3d-Coat. You can see them in the panel Surface materials. Then you can hide or lock a particular materials and fill the other one without affecting the hidding or locked materials.